2018 THEunirankings vs 2017 THEunirankings. An infographic comparison. This week Times Higher Education published the 2018 Times Higher Education World University Rankings with the top 1102 Universities in the world. 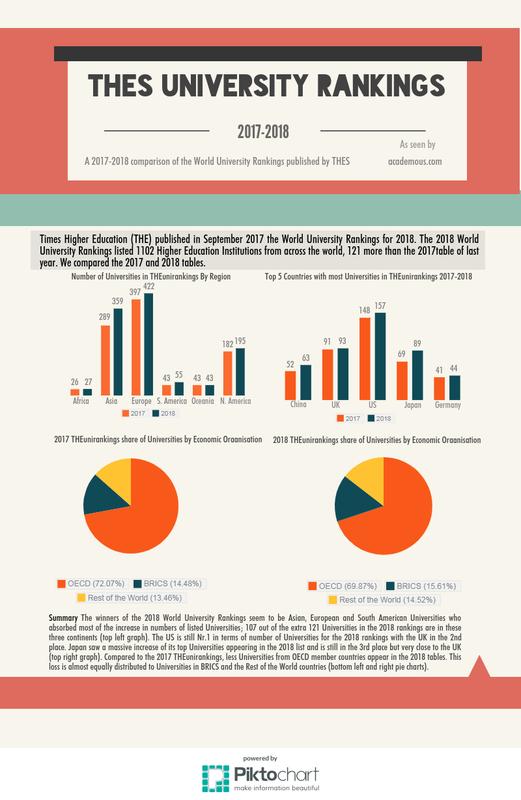 We compared the 2017 and 2018 tables and we made this nice infographic. Enjoy! Academous gets short listed for 2017 GBEA awards!